The sleepy village of Saint-Gervais. The sleepy village of Saint-Gervais is split in two by the main road that runs between the major French towns of La Rochefoucauld and Rochechouart. It may be a main road but it could never be classed as 'busy'. The few cars that intermittently pass through hardly ever stop. There aren't many inhabitants of Saint-Gervais and those that exist are rarely visible outside their homes. 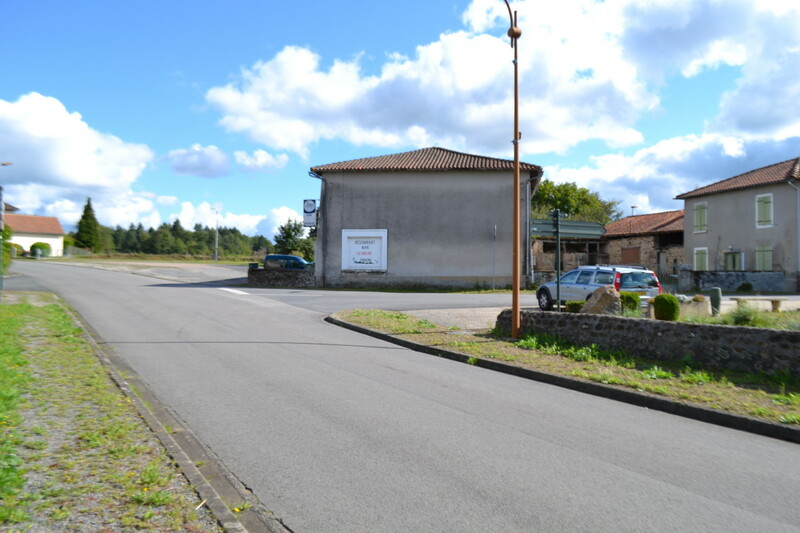 To passers-by the place would seem deserted, unremarkable; just the usual smattering of houses, a church, a cemetery, and the recycling bins, typical of the hundreds of similar little villages dotted all over France. It is more than likely that people rushing through would fail to spot the gem that lies hidden in full view in the midst of all this humdrum mediocrity. I am talking about Le Bar Gibson. Le Bar Gibson is, as the name implies, a bar. The name comes from the company that builds and sells the world's most iconic electric guitars. Instruments produced by Gibson are well known and in high demand in the music industry and are extremely collectable. The bar sits patiently at the side of the main road idly watching the cars go by. From the outside, like everything else in Saint-Gervais, it is of ordinary appearance, but step inside and the mood changes. The words 'humdrum' and 'mediocrity' are no longer applicable. More appropriate to use the words 'remarkable', 'lively', 'unusual', and even 'extraordinary'. I don't want to overstate it. This is a bar, not some fancy hostelry with ideas above its station. It knows exactly what it is and has no pretentious affectations. It does not reflect the glossy image of France portrayed in the travel brochures. Whilst that image of a beautiful, unblemished France with cloudless blue skies is not in any way false, that aspect of France most certainly exists, establishments like Le Bar Gibson represent the heart of France's interior, its soul. 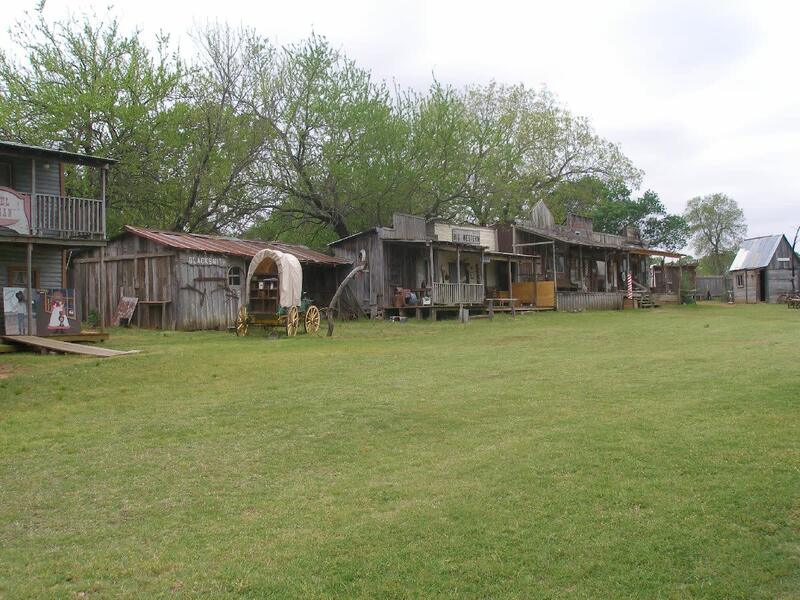 A tourist wouldn't find this place in any travel brochure. They would only stumble upon it by chance or by word of mouth. What makes the bar remarkable is the warmth of the welcome visitors receive from its friendly and gregarious French proprietors, the congenial atmosphere evoked by the bubbly mixture of French and expat clientele, and the excellent facilities for playing snooker and pool. Don't be put off by the bar's slightly unpolished external appearance. All the energy of the proprietors is directed towards the interior and their passion for the game of pool. There is a full-sized snooker table. 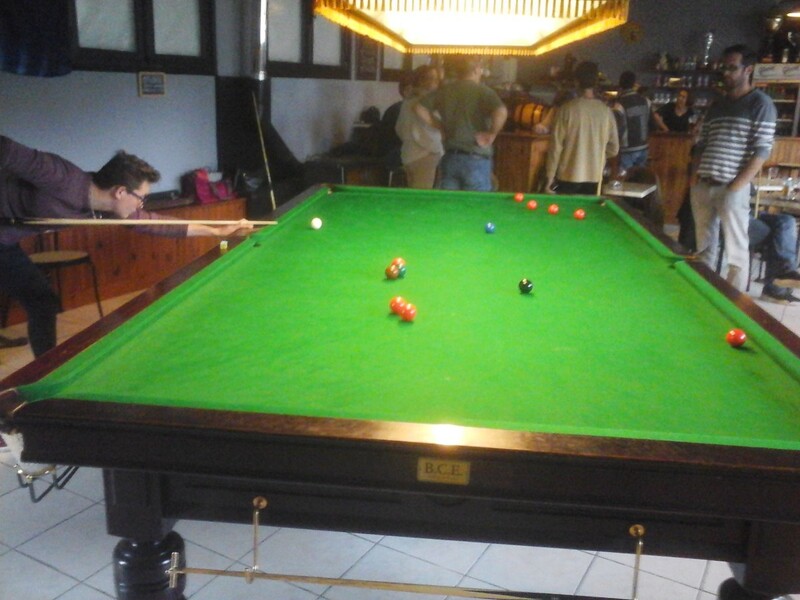 The bar is equipped with a recently-acquired, full-sized snooker table and three pool tables. The proprietors, Christian and Virginie Belair, will sometimes, when time permits, play the odd game with their customers (using French rules, of course), many of whom they also count as friends. They are passionate about the game, which differs slightly from UK pool, and are always looking for ways to improve the facilities. Christian invented and created his own 'ball-washing' machine, and I noticed on my last visit that there is now a new digital scoring machine proudly displayed on one of the walls. 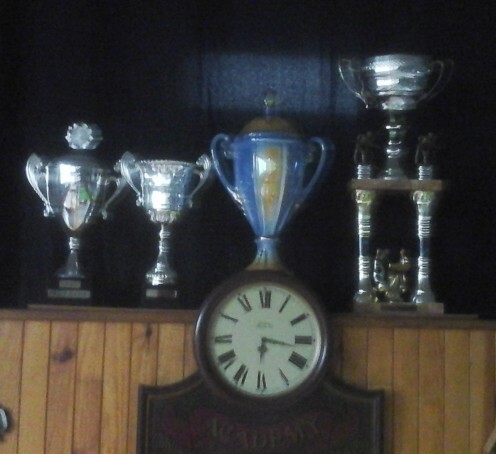 An impressive array of trophies forms another exhibit. Christian is 'Président' of 'Les Desperados Billard Club' which is headquartered at the premises, and four mixed-nationality pool teams compete in the local league for these prizes. Each team consists of around six players grouped according to various skill levels. The league falls under the umbrella of the Fédération Française de Billard which organizes, promotes and develops the practice of the game of billiards in all its various disciplines nationally. This is a serious business which involves home and away games throughout a season which runs from October to April each year, and around 50% of these games are hosted at the bar. But you don't have to be a member of any team to come along, hire a table and play. You can bring your own cue or there are some available free to borrow. Alternatively you may simply wish to enjoy a glass or two and a chat in a friendly atmosphere and watch the goings-on. 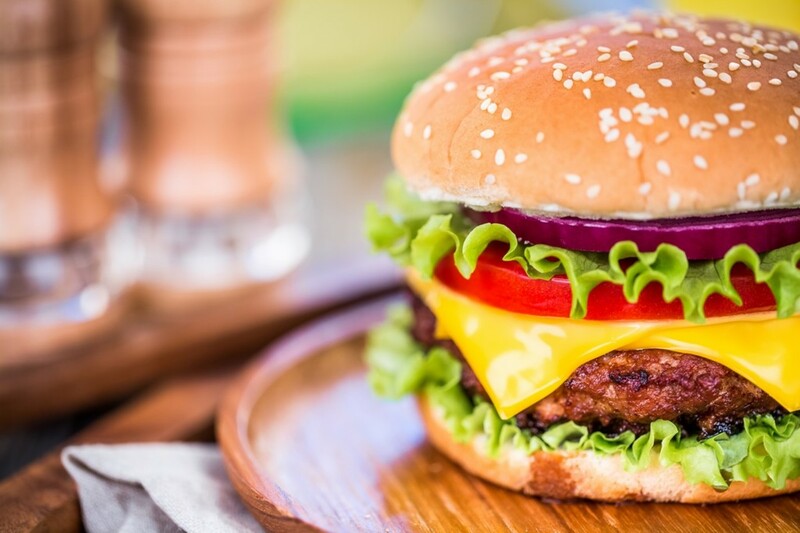 And although the bar is mainly devoted to pool and snooker, other functions sometimes take place, such as an occasional charity quiz night or other event. So for any expat interested in playing pool or snooker and/or wishing to mingle in amongst the heart of French society, there is no better way to start. Here you can experience the culture in a sociable and convivial setting where people of different nationalities enjoy each other's company and forge real friendships. You can practice your French if you wish and Christian loves to practice his English. There are no barriers to friendship here, language or otherwise. Whatever the reason for their visit, come rain or shine, all who come to Le Bar Gibson will be sure to receive a warm welcome from Christian and Virginie, the most delightful of proprietors. 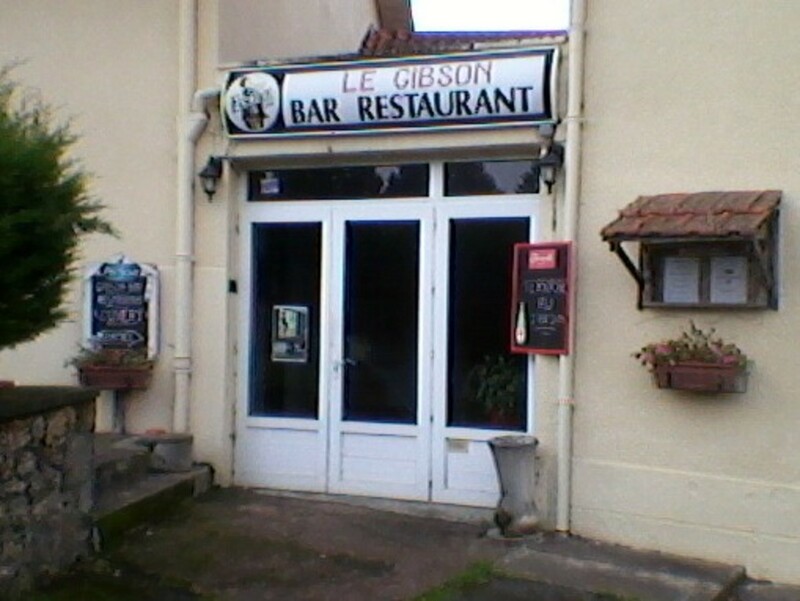 Le Gibson Bar, Saint-Gervais, 87600, Videix, France. Tuesday to Saturday 5 pm to midnight. Sunday 2 pm to 8 pm.